Pippa first saw tribal belly dance performed in Sydney in November 2005. Intrigued by this beautiful dance style she started studying and performing in 2006 under Fiona MacPherson. Pippa began teaching American Tribal Style® (ATS) belly dance in 2010. 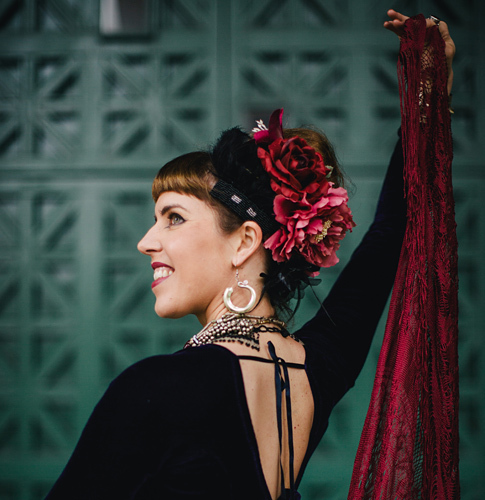 Motivated by her love of ATS® belly dance, Pippa trained with national and international teachers. Each time Carolena Nericcio-Bohlman travelled to Australia, Pippa took the chance to learn, completing General Skills in 2010, 2011 and 2015. She has also studied ATS® intensively with Australian superstar, Devi Mamak. Pippa became an American Tribal Style® Certified Instructor in 2015 and in 2016 took the plunge to travel to San Francisco for a two week dance intensive with Carolena and Megha Gavin. She is now Advanced Teacher Training Certified. Pippa teaches American Tribal Style® belly dance in Canberra Australia. She is a founding member and co-Director of professional troupe and Fat Chance Belly Dance® Sister Studio, Buasavanh Tribal Belly Dance (2010-2018). 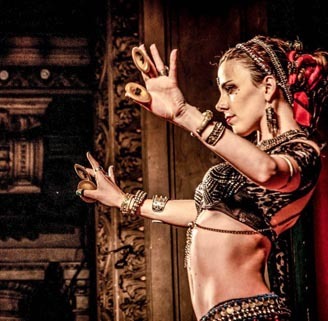 She is fascinated with transitioning between dance styles in an authentic way, also dancing cabaret belly dance in local Turkish restaurants and dabbling in flamenco and traditional folk dance from Azerbaijan. In her spare time she hangs out with partner Daniel, trains her dog Nyx and works as a public servant running national youth employment programs. Longer term she would like to develop the love and understanding of ATS® in the region—particularly Australia, New Zealand and Asia and share the magic of improvisation with dancers far and wide. Find her on Facebook under Pippa Spice.